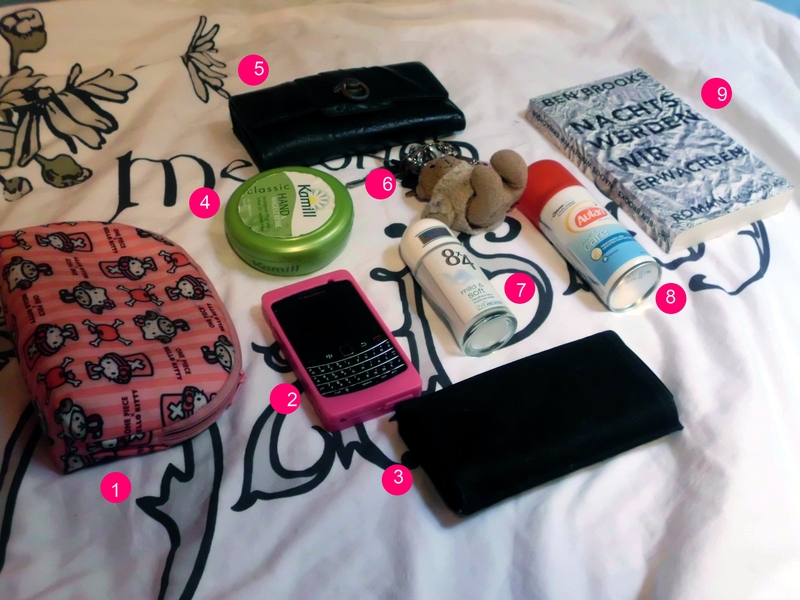 I thought this might be interesting, because despite those typical girl-stuff we have, the contents of our bags are still different from each other and tell us a lot about the person carrying it. 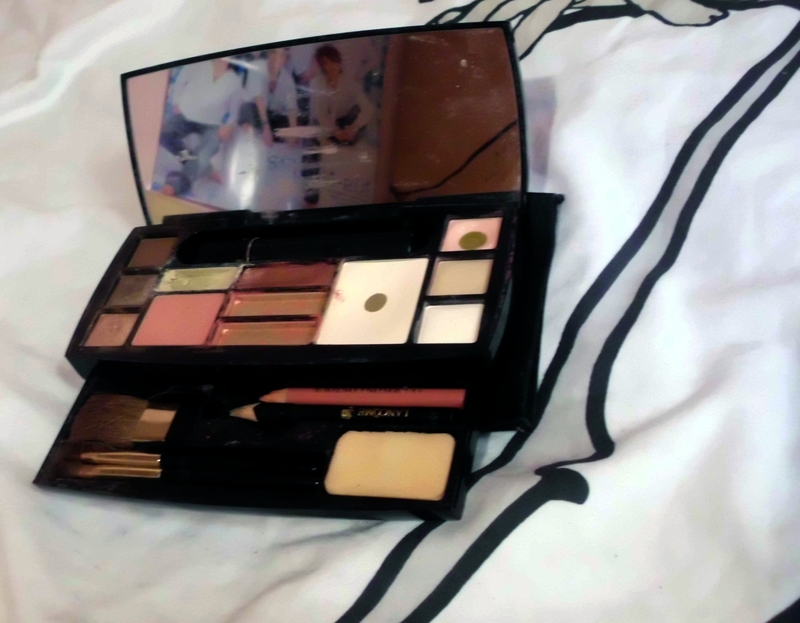 since I always have my Lancôme palette with me, I only have powder, sometimes eye-shadow and emergency lipstick in my vanity bag. Speaking of emergency: I always have drugs prepared – Wick DayMed (when I caught a cold and need to be fit for one day), diclorin (when my right knee starts hurting again) and buscopan (I have like the worst menstrual cramps ever, which means I even can’t get out of bed. 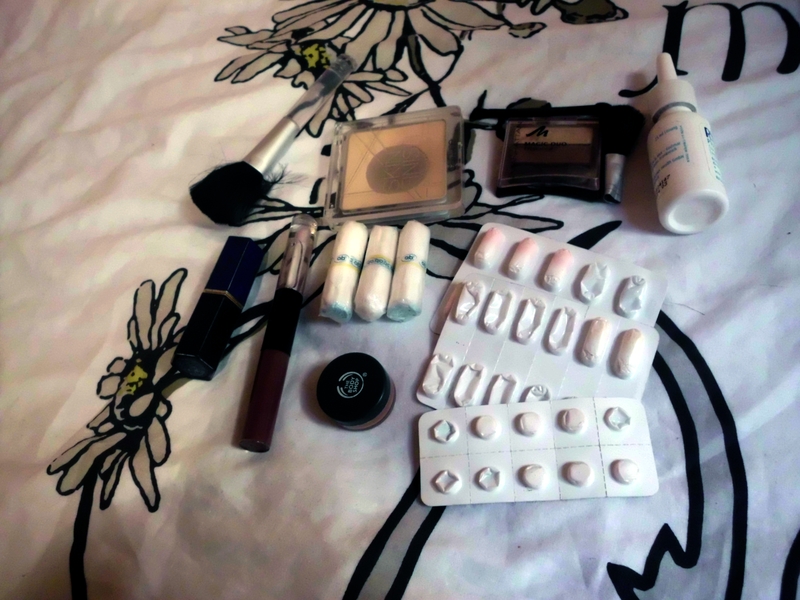 and no, taking the pill does not help) are my usuals. Also, nasal spray has a safe place, since I tend to have a runny nose. I just LOVE this palette. I have a lot, because my father often brought me one from his business trips, but this is my favorite! There’s just everything I need and all the products are just perfect for me. I found the perfect lipstick and mascara. Also, I got bored with my theme so here’s the new one: simple, more or less pink and cute. Now, I better go of to the fitness studio and later on I’ll be going to the nocturnal fleamarket – so excited! haha thank you! it’s so simple but i like it that way ❤ ikr?? everyone should have it.